The Coach tells me to swim a lap (normal) and by the time I huff and puff my way back (only 60m!) he is waiting for me (after zooming through his lap), with a pool buoy and sends me off immediately on a lap of pulling. No touching your feet to the floor- just push the wall and go! Fine, okay, I sort of like pulling (I feel I can do it well!) and so with a little grumbling I was off. When I returned, waiting for me with a smirk, he hands me a board and says, one lap kicking. Yuck, how I hate kicking, (I can’t kick to save my life!). I mutter, grumble, curse, my fate and him. 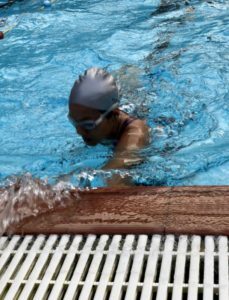 I feel the burn in my legs as I return all ready for a breather, when he snatches the board from my hand and says, “C’mon, one fast normal swim lap.” There was no way I had the energy, but sure enough after a few strokes I found my rhythm. I managed it! Wow. Feeling victorious, I high fived him and took a few deep breaths. I imagined that I was done. And then The Coach boomed into my ear, “C’mon, one more set. “Do you want me to double it?” he countered. Quietly, I put my head down and followed instructions. In my head, I knew the hardest lap of this set was the kicking. So I made it through the swim and the pull, and braced myself for the kicking. He knew that I would struggle in that one, so he swam next to me, encouraged me and pulled me to the finish in the last 8-10m. I was relieved, and with that positivity I swam the last lap. And this time I was really done. 3 sets of a comprehensive drill. I couldn’t believe what I had just accomplished! How much more I had left in me, when I thought I was done. And that was the beauty of the workout. He kept pushing me, and I kept moving ahead. Had he told me at the start that there were three sets of this, I am sure that my mind would have given up somewhere in the middle of the second set (my mind has its own mind!!). 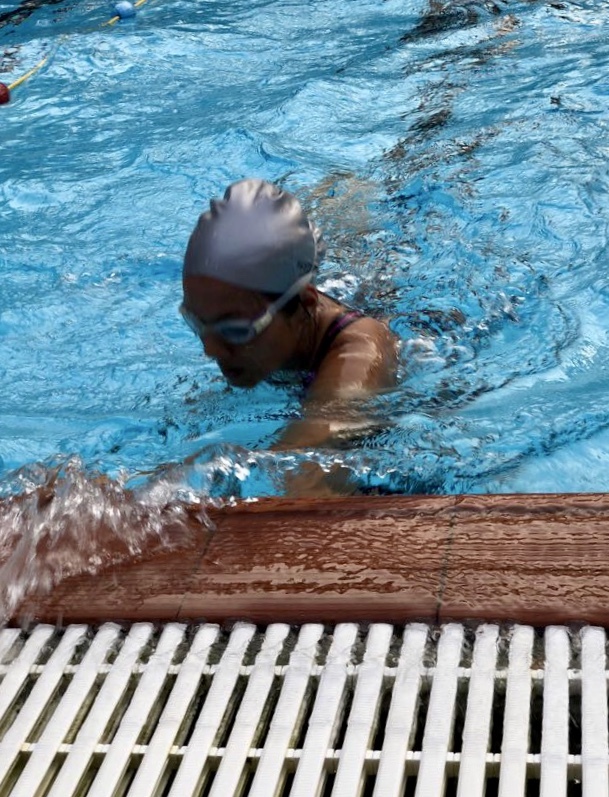 Of course, I would have battled the mind, thrown my arms and legs around, and come back to finish it, but with this strategy, I gave each set, everything, as I thought it was the last. And I smiled at The Coach. Thank you for making me realise that I could do this. And yes, I have experienced this when I run the Marathon. But the mind is so smart that it always finds new ways to outsmart us. Like the Odomos resistant mosquitoes! This is what it is to dig deep. Digging deep not only means working hard but working your hardest. When you think that you have nothing left, look within and you will find some more. It’s the tough workouts, which really challenge you. Workouts that create anxiety. Workouts that require you to prepare, are the ones which are making us race ready. Yes, faith and strength takes us through them, but it is the mind that benefits the most when we stand in the other side. The mind learns who is the Boss.